Canadian’s will get to watch the Super Bowl this Sunday, but they will once again be deprived of seeing what some view as the most entertaining party of the game… the TV commercials. By the way Google reports that more Canadians will search online for Super Bowl commercials than any other country. All the big companies such as Volkswagon, Audi, Mercedes Benz, Doritos, Coca-Cola have posted teaser trailers or full-length commercials online, ahead of the big game. Here then are some of my favorite American TV commercials we will not get to see this weekend in on Canadian TV. Here is VW’s spot which features Jimmy Cliff’s version of “Get Happy” and some Jamaican accents which is catching some flack because of the racist overtones. Toyota features its new RAV4 model (built in Woodstock Ontario by the way) in a 60-second commercial featuring Kaley Cuoco, from “The Big Bang Theory” as a genie granting wishes. KIA have a great spot which answers the question where do babies come from? The big winner on the day was the baby Clydesdale commercial for Budweiser based on all the social media metrics. It generated over 60,000 tweets in the moments after it was aired and so far it has been viewed over 1.7 million times on Youtube. HALIFAX, Jan. 22, 2013 /CNW/ – Newfoundland Capital Corporation Limited (“the Company”) announced today that its wholly-owned subsidiary, Newcap Inc., is exploring the possible sale of its western broadcasting assets which are located primarily in Alberta. The assets consist of 32 radio stations, 6 repeater licences and 2 TV stations. The Company has a history of buying and selling businesses as a means to create shareholder value. If the Company is able to reach an agreement at a value the Company considers appropriate, the use of proceeds will be determined by the Board of Directors in the best interests of the Company and its shareholders. This may include reinvesting in geographic areas closer to its base in Atlantic Canada, reducing debt or returning capital to its shareholders. Investors should be cautioned that there is no agreement in place to sell these assets and there is no certainty that any transaction will result from the current process. The federal Ethics Commissioner has ruled Finance Minister Jim Flaherty acted improperly and breached the Conflict of Interest Act by writing a letter to the CRTC on behalf of a constituent. A spokesperson for Commissioner Mary Dawson confirmed to the Globe that she has issued a compliance order that directs the minister to refrain from writing similar letters in the future without seeking approval from her office. Finance Minister Jim Flaherty urged the federal broadcast regulator to grant a radio licence to a company in his Ontario riding even though government rules on cabinet responsibility forbid ministers from influencing the decisions of administrative tribunals. In his letter to the Canadian Radio-Television and Telecommunications Commission, Mr. Flaherty praised Durham Radio Inc.’s bid to obtain a licence to operate a new FM station for the Toronto area. The BCAB is looking to recognize those with 25 or 50 years of broadcast service! Simply go to the BCAB website and fill out the online form, or download the form to print and send in. 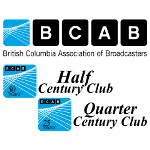 Those broadcasters added to the Quarter Century Club or Half Century Club will receive a certificate of recognition and a pin at the BCAB conference. The deadline has been extended for submissions for the “Allan Waters Young Broadcaster of the Year Award in Honour of Steve Young” at this year’s CMW conference March 19-24, 2013. The award has been opened up this year to allow anyone working in the industry to nominate any worthy broadcaster. So if you know of anyone you feel is worthy of award, there’s still time to submit a nomination. The deadline for entries is now Thursday, January 17, 2013. The 2013 Consumer Electronics Show is on in Las Vegas today and runs for 3 days. Perhaps it is a sign that the economy is improving, because this year the event is too large to fit in the Las Vegas Convention Centre’s 3.2 million square feet of conference space. Some 3,000 companies will show off 20,000 products to over 150,000 registered attendees, so Vegas will be crazy this week. This is more than just a consumer show, and typically this is where major companies show off their latest gadgets that they hope will be big in 2013. This year Microsoft did not deliver the key note address, because they have already rolled out Windows 8 and, like Apple, they put on their own show. Canadian Company, Blackberry is also missing this year because their new smart phones are not ready. Instead, the pre-show keynote address was delivered by Qualcomm with entertainment by Adam Levine and Maroon 5. By the way, Miscrosoft’s Steve Ballmer was invited on the stage early in Qualcomm’s presentation in order to show off some existing Windows 8 and Windows Phone devices. Samsung is making its presence felt and has beaten Apple to the punch by releasing a 750inch smart voice controlled TV. It includes Smart Hub which consists of intuitive panels to help consumers manage and navigate different types of content. These are displayed as thumbnail images so it’s even easier to select and watch the content on the big screen. With a flip of your hand, you can discover five totally different experiences in Smart Hub, as if you have five new TV sets. Sony will show off the new XBR 84 inch 3D TV that will offer four times the resolution of today’s 1080p sets. Of course there is very little content available, but the XBR is equipped to connect directly to Sony’s library of available titles, and to upscale lower resolution media. The television can also link to popular Internet services such as Netflix, Pandora, YouTube and Facebook. This will connect with the Playstation 3 and when using special glasses the viewer will see a full HD split screen making the multi player experience that much better. It is likely to retail above $25,000, by the way. Look for a new type of super fast Wi-Fi service called WiGig. This should mean fewer wires as many peripheral devices will connect wirelessly once the technology rolls out. Also it will mean much quicker download speeds, up to 10 times faster than your current Wi-Fi connection. But this technology is said to work over a short distance currently and is expected to get better in time. A company called PerfomTek will show their biometric system that records health and fitness data that ranges from heart rate and speed to the number of calories burned all taken from the headphones you use to listen to music or talk on your cell phone. Captured data can synch to a smartphone app in real time, which should make tracking progress easy. In time, all this data could be automatically shared with your medical professional who can adjust your medication or contact you for an appointment. Welcome to 2013. As you come back to work after what I hope was a peaceful and enjoyable Christmas for you and your family, I wanted to share some of the things I have been pondering as I prepare for 2013. A lot of this is focused around how we can better serve our two important sets of customers being the advertisers and the listeners. The start of a new year is an opportunity for each of us to think what we can do differently so we are more effective and more productive than we were in the previous 12 months. I know a very talented GM who encourages each of his staff to focus on doing on thing better each week because by the end of the year that employee has improved in 52 ways. He does the same thing and works hard to ensure his product and service gets better with each week. Rather than bombard you with a huge list I intend to focus on a few. This month we will focus on 9 things you might consider to better serve your listeners in 2013. Talk to listeners: Spending time talking to your listeners and digging a little deeper to get their opinions about your station is a great way to get feedback from your one set of customers. There are lots of opportunities to meet with listeners over the course of the year, at station promotions, client remotes, and when they come into the station to pick up prizes. Ask enough listeners for their opinion and you will likely find some areas where you can improve your product. I know lots of radio stations who run regular listener advisory panels which is a great way to seek feedback. You need to have someone moderate the session who knows what they are doing, you need to ask the right questions, know which ones need to be expanded upon and how to keep things moving along. The venue should be outside the radio station and once you start them you should never stop them. You will be amazed how much listeners know about your station and how freely they will offer their suggestions for improvement. In markets where perceptual research is not an option this can be a very powerful tool. Listen to the product: In this busy world we all live in today the very people who are responsible for the product do not get to listen to it frequently enough for an entire uninterrupted day. It is critical that the PD take at least one day a month and hide out in a hotel room across town so he or she can listen intently to the product without the interruption of meetings, phone calls or people dropping by with one quick question. Take a back up of your music log and follow along, because music makes up 60 to 70% of any hour so you need to ensure that it flows, and each 15 minutes is representative of the brand, and that you have enough core songs in each quarter hour. You will also find out which announcer messes with the music and get to hear how the product all fits together. Chances are you will take lots of notes and come up with a few ideas to improve what comes out of the speakers. If your PD is responsible for multiple stations they need to spend a day monitoring each station. If that is not possible then hire some outside help to do the job. Listen to the competition: While it is important to listen to your station, it is equally important to listen to your competition. While you cannot control what your competitor is doing, you need to be aware of what they are doing and look for ways to exploit any weaknesses in their programming. Have they altered their music or positioning, have they moved the position of their stop sets or are they now placing their power records in different parts of the hour? An easy way to do this is to setup an old tuner and interface it with a spare channel of your audio logger, so you can then listen to this audio at your leisure, but pick a specific time/day to do this each month or it will be forgotten. This is especially important if you are sharing lots of audience between your station and a competitor. Done correctly you can keep them listening to you for longer and reduce their TSL with the competition. Listen to other stations: Make time each month to closely listen to stations in other markets who you admire and who you feel you can learn from. A quick look at the BBM or Arbitron ratings will get you a list of stations who are outperforming the format. You need to listen to these stations and establish what they are doing to make them so successful, and if the idea is applicable to your market and station. Be mindful some stations are successful because of reasons beyond what comes out of the speakers. Most stations stream their audio so you can listen to them from the comfort of your home or office. Ask the engineer to setup logging software so you can automatically record these stations and listen to the audio at a convenient time. Conduct research: If you have the budget, hire a research company to identify any areas of weakness or opportunity for your station. Sometimes we are so close to our products that we cannot see the wood for the trees, so it becomes difficult to be truly objective. Investing in research is a great way to improve your ratings or hold onto them. Care needs to be taken to ensure you ask the right questions and that you get information that is actionable. By the way never ask a question in research if you do not intend to act upon it. If for example you have no intention of reducing your advertising minutes then don’t ask which station plays the most commercials in the market. Look for the big idea: Too often we focus on lots of small things that do not create street talk and fails to move the needle. Will 2013 be the year that your station will do something so extraordinary that listeners beyond your format will talk about your station and some may even tune in to see what all the fuss is about? This does not have to involved huge external marketing budgets or giving away large sums of money. Often the idea is simple and not expensive, but is so different that it peaks the interest of the average consumer. For example a few years ago the station I was working at purchased a leg of the Olympic Torch as it made its way across the USA. We were able to give away something that the average listener would never have the opportunity to do. Yes the station dressed it up, made it sound larger than life and invested in external marketing, but most people in that market were talking about how great it would be to carry the Olympic Torch. As it turned out a fireman won the contest and he was super fit and a runner. We sent him and his family to the USA and he became the only Kiwi to carry the Olympic torch that year. Give the staff some notice and offer a decent prize for the best idea and gather the staff and have a brainstorming session and see what big ideas you can come up with. You might be better to put more of your resources into one big idea rather than executing lots of small ones that do not get any attention. Get serious about coaching talent: What happens between the records will be more important in 2013 than perhaps at any time since, given there will be even more competition for your listeners attention. Therefore helping your announcers understand how to show prep, how to prepare and how to deliver compelling local breaks is more important than ever. Help them understand the power of storytelling and how to do it using only the number of words it takes to effectively sell the bit. Notice I did not say deliver it in 20 seconds or less. It you are very lucky you may have a talent that is so good at what they do you are prepared to sacrifice a record per hour and allow them to talk a little longer. Unfortunately these personalities are becoming the exception rather than the rule. So come up with a plan to help your talent improve in 2013. That may involve sending them to a course, bringing in some outside help or working with a local improv company. Make sure you have a regular air checking program in place and ensure the person delivering this coaching knows what do to and how to motivate each of your announcers. If you can find a way to motivate and improve your average performers, chances are this will really improve the product because on most stations 60% of the staff are average and less than 20% are the superstars who will perform well no matter where they are. Coaching via regular air checks is something we see less and less of as we go into radio stations these days. Often that is because either the PD does not know how to air check, and/or is doing multiple jobs and may also be looking after multiple brands. The end result is that regular air checks are not done or are so infrequent that they are not effective. Average performers need a weekly air check, and this is often the best way to help improve them and create a better listening experience for your customer. Invest in staff training: Send your PD or some of your announcers to a broadcasting conference or to training that would benefit them. There are regional broadcast conferences such as the OAB, the BCAB as well as international conference such as the NAB or the World Radio Summit. Canadian Music Week www.cmw.net is held in Toronto each March (19-24 this year) and this is a great learning conference that attracts some of the best in the business. If you have not been to Conclave you should consider it. This is held in Minneapolis from July 17-19 in 2013 and is one of the best USA based radio conference in terms of ideas sharing. Learn more at www.theconclave.com. Chances are they will make the most of the networking opportunities and come back with some practical ideas that can be implemented at your station to improve ratings, revenue or both. This is by no means an exhaustive list, but it is a good place to start. This may prompt you to come up with other ideas that you feel are more important for your station because of your market or where your station is in the lifecycle of the product. But I hope you will use the typically quieter month of January to focus on the product and look for ways to create an even better listening experience for your customers. Next month we will focus on your other set of customers being advertisers. I have worked with lots of morning shows that made prank calls, I have had to deal with the fallout from calls that upset people, and I have been on the receiving end of prank calls. One of the morning shows I worked with made a prank call to the White House pretending to the Prime Minister of New Zealand. Somehow they convinced the switchboard operator at the White House they were who they said they were, and the call was transferred to someone higher up the line. As it turned out the President was on Air Force One and the call was intercepted before it was transferred any further when the person became suspicious. As the PD of the station I was the one who ultimately took the heat from the station owners, the authorities in New Zealand, and the US Embassy in Wellington. The Americans were rather upset that a radio station could potentially breach their security and they wanted heads to roll. We eventually calmed everyone down, and no one lost their job. But we did make changes to the way that station and those personalities executed their prank calls moving forward. When I first heard about the call to King Edward VII Hospital, where Prince William’s pregnant wife Catherine was staying, pretending to be the Queen and Prince Charles, I thought well done for pulling off a harmless call when no one else had thought of it. They clearly took advantage of the time difference and beat even the other Australian morning shows to the punch. By the way these two DJ’s were doing the night show in Sydney as in 7 till Midnight. As I listened to the audio I thought that Mel Greig and Michael Christian were lucky to have gotten away with it given the impersonation of the Queen was rather poor and thick Aussie accents were obvious to my ear at least. The frequent references to “Charles” walking the Queen’s corgis perhaps should have also raised alarm bells with hospital staff. I do not know Mel Greig and Michael Christian myself, but I do know people who know them, and they tell me that they are both talented broadcasters and nice people who worked incredibly hard each day to create great radio. 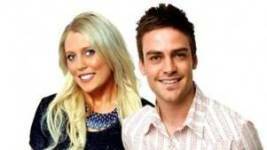 My Aussie friends tell me these two DJ’s are devastated by the suicide of this nurse. They have taken themselves off the air, are being protected by bodyguards because of the threats made on their lives. They have only recently spoken publicly for the first time and have publicly apologized. This may be the end of their radio careers, and it may also be the end of the prank phone call. This prank call has raised concerns about the ethical standards of Australian media, as Britain’s own media scramble to agree on a new system of self-regulation and avoid state intervention following a damning inquiry into reporting practices. In Great Britain radio stations are now required by the broadcast regulator OFCOM to get written permission to use a prank call on the air. In the case of 2day FM the hosts recorded the call and got the permission from management at the station before airing the call. One wonders if heads will roll at Austereo the parent company who owns radio, television and digital properties across Australia. The radio station has lost major advertisers including the Coles supermarket group and Telstra a major phone company. 2dayFM suspended all advertising for several days and then promised to give a percentage of all advertising revenue for the rest for the year with a minimum amount of $500,000 going to the family of the dead nurse. Austereo has launched an internal enquiry, the Australian Communications and Media Authority (ACMA) is starting an investigation, and Scotland Yard is now involved. There is talk that the two Australian DJ’s may be called to an inquest in London at some point in 2013. I suspect in time we will learn that there was more going on in the life of the nurse than we know at this point. Perhaps this was the thing that put her over the edge, but what lead to this tragedy where she felt her only option was to end her life is unknown at this point. Some are saying the hospital should have briefed staff and had a better system to deal with any calls, given they had such a high profile patient and a horde of media camped outside the hospital. Don’t make any prank calls for the time being and not until we learn the full story as to why this nurse killed herself. 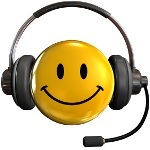 Before you start making prank calls you would be wise to conduct some research to find out how popular prank phone calls are with your listeners. I was surprised by the number of people who have commented on social media that they do not enjoy hearing prank calls on the air, and how many say they change the station when these calls come on the radio. Review your procedures to see if there are appropriate checks and balances in place. Should you get the permission of the pranked party before the call goes to air? Who approves this type of content and at what point do legal get involved? Where at all possible use your creativity for good and not evil. By that I mean use your creativity to create compelling and entertaining radio, but not at the expense of other people. Come up with some new benchmarks and avoid prank calls completely. I am surprised that many stations who pit one caller against the other to find who has the best “expose the cheating boyfriend” stories have continued to run this bit following the death of this nurse. The suicide of this nurse is likely to impact broadcasters around the world and may result in some changes to rules and regulations in countries beyond just Australia and perhaps England. It may cost some people jobs, radio licenses may be pulled and it may forever change what listeners will accept as entertaining radio. Jan 1-31 “International Brain Teaser Month”: Try to solve fun and funny brain teasers and puzzles. For info, call the Logic Puzzle Museum at 262-763-3946. Email logicpuzzlemuseum@hotmail.com. See www.logicpuzzlemuseum.org. Jan 1 “Polar Bear Swim 2012”: English Bay Beach, Vancouver, BC. 93rd Annual. The Vancouver Polar Bear Swim Club is one of the oldest in the world. Call 604-873-7011 or see www.vancouver.ca/parks/events/polarbear. Jan 1 “New Year’s Dishonour List”: Each year since 1976 on this date the most overused words and phrases in the English language are announced and “banned”. Examples include amazing, baby bump, occupy, man cave and ginormous. For info call 906-635-2315 or see www.lssu.edu/banished. Jan 1-4 “New Year’s Resolutions Week” To show people how, why and what resolutions/goals should be set and the necessary action and steps to make the new year the best ever. Call Gary Ryan Blair 877-GOALSGUY, e-mail info@goalsguy.com or see www.goalsguy.com. Jan 4 “World Hypnotism Day”: 7th annual. A day when hypnotism professionals promote the truth and benefits of hypnotism to the people of the world while removing the myths and misconceptions. Call Thomas Nicoli 603-598-8389, email TomNicoli@WHDCommittee.com. See www.worldhypnotismday.com. Jan 5-8 “Elvis Presley’s Birthday Celebration”: Lots of Elvis events going on at Graceland. He was born on January 8th 1935. For more information call 800-238-2000 or email glsales@elvis.com or see www.elvis.com. Jan 6-12 “Home Office Safety and Security Week”: One week each year dedicated to ensuring that home offices are safeguarded and protected against break-ins, theft, workplace injury, computer viruses and hacking, natural disaster and other maladies. Jan 7 “Thank God It’s Monday Day”: Besides holidays, people everywhere start new jobs, have birthdays, celebrate promotions and begin vacations on Mondays. A day in recognition of this first day of the week. For info call Dorothy Zjawin 908-241-6241. Jan 14 “Clean-Off-Your-Desk Day”: One day early each year for every desk worker to see the top of the desk and prepare for the following year’s paperwork. Jan 16 “National Nothing Day: 40th Anniversary”: Created by newspaperman Harold Pullman Coffin in 1973, this is one national day when people can just sit without celebrating, observing or honouring anything. Jan 20-26 “Healthy Weight Week”: People who diet the first week in January and binge the second are ready for better living by the third week. Email Francie M. Berg at fmberg@healthyweight.net (please put “Berg-Healthy Weight Week” in subject line). See www.healthyweight.net. Jan 20-26 “National Non-Smoking Week”: Includes Weedless Wednesday. The theme is “There are hundreds of reasons to quit… what’s yours?” See www.nnsw.ca.